Like Nadine’s Molly, Erica’s Britney started life in the West. 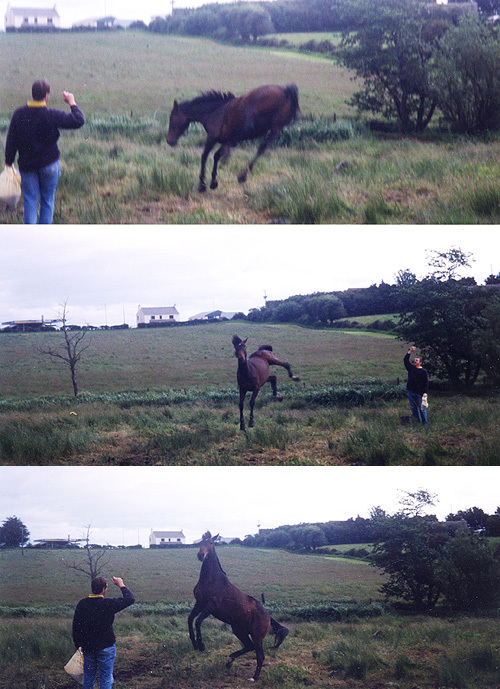 Erica spotted her in her early years in Galway but it took quite a while for her to finally get her hands on her and bring her to Donegal. 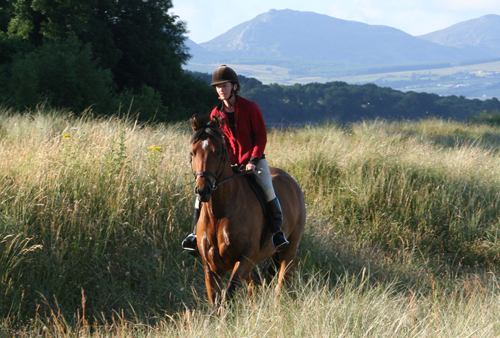 Read the full story of Clonigulane Lass. 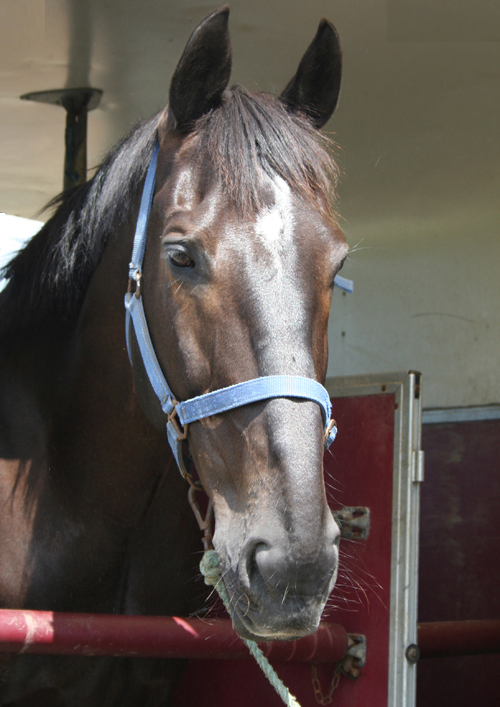 Libby’s horse Fenway was foaled in June 2003 into a field of hopes and dreams. He lived a fairly normal life for his first four years. Ever since then he’s been living proof of the folly of breeding a horse for yourself when you don’t have enough land to retire him as a lawn ornament! 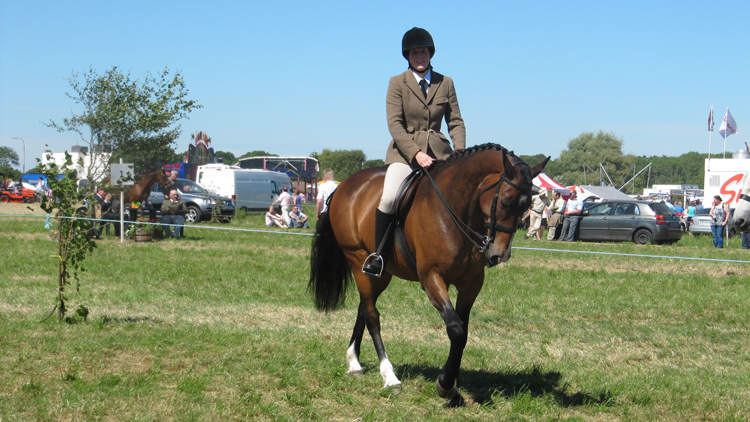 Nadine’s great club favourite, Molly, started life in the millennium year, 2000. 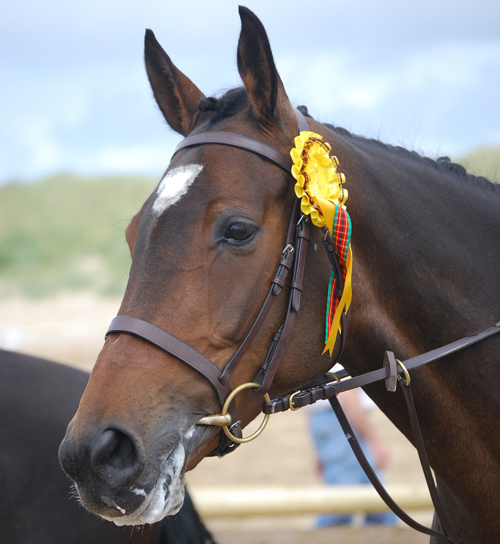 She was foaled in Galway and bought there by Damien in October 2003 as an unbroken brood mare for his mother and auntie. 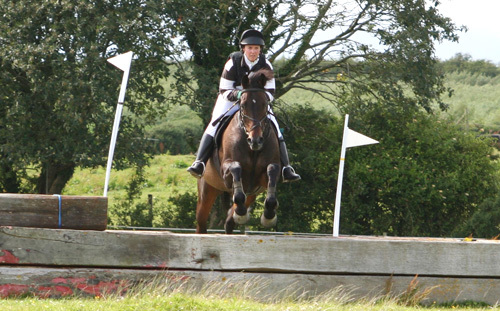 Enjoy Nadine’s full story of Drumnacart Lass and their exploits with Letterkenny Riding Club. Long may they continue! 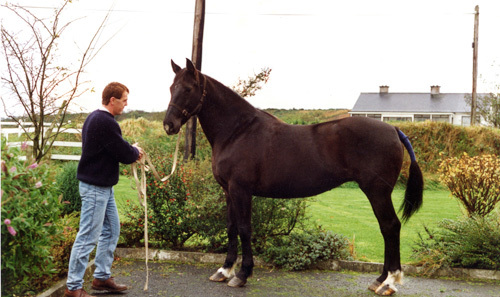 After reading the story, anyone interested in breeding can check out Millie’s father, Corran Ginger, or Avril’s father, The Freak. 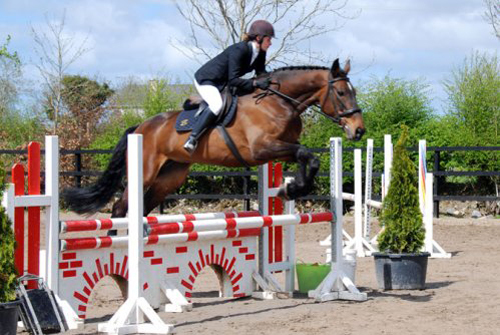 The club has 4-legged members from such far flung pastures as Belgium and France but Marina’s Teldel must surely have travelled the furthest, both in miles and in life, to join us in the Letterkenny Riding Club. Read the full story: Teldel. Francis hasn’t delivered the full story of Zak yet but here’s the skeleton to get the whole project started. Skittles was sold, Zak was the chosen one. He and Francis have been learning about each other ever since but haven’t quite figured everything out just yet. At the age of 17 when the passport laws were introduced, Zak was officially named. By that stage Francis had figured out enough to be sure what the name should be: In A Hurry. 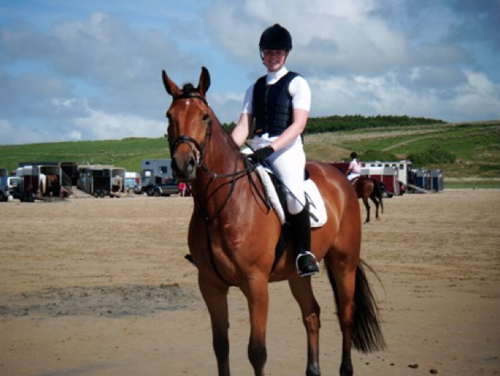 In 2009, Francis rode a dressage test on Zak at the beach show in Falcarragh. The judge was Petra Kucklic and she had last seen the partnership when she tutored them 10 or 12 years earlier. Her comment in summing up was “shows improvement over time”. There are probably another 10 good years left in Zak so everything should be perfect by the time he reaches retirement.